The Regional Conservation Partnership Program (RCPP) is a new approach that mobilizes partnerships to multiply investments and reach common conservation goals. More and diverse partners bring innovation, new ideas, resources and local expertise to solve challenges. RCPP is a Natural Resources Conservation Service (NRCS) program. 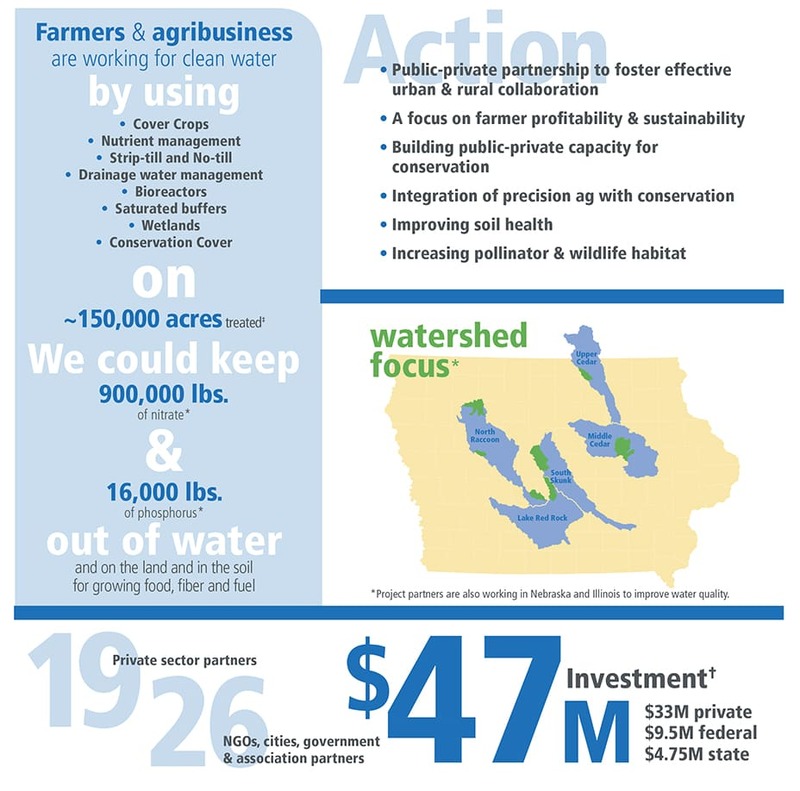 The Midwest Agriculture Water Quality Partnership is being co-led by the Iowa Department of Agriculture and Land Stewardship and the Iowa Agriculture Water Alliance. The following partners have committed to working together.